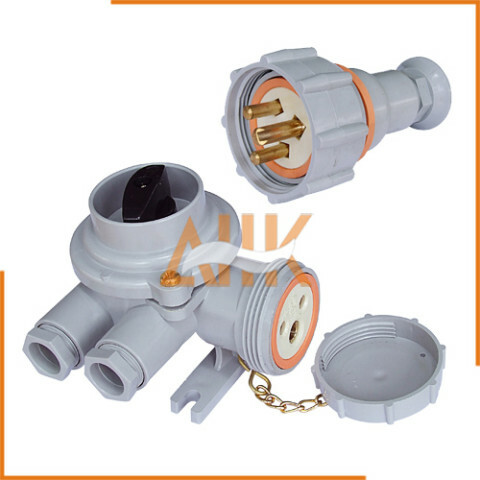 Synthetic Resin Watertight 3-pin Plugs & Receptacles with Switch Type HNA – All-K Marine Co., Ltd.
Watertight marine use plug & receptacle with switch. Rated capacity is 250V, 10amp. Available in cast brass or synthetic resin main body.